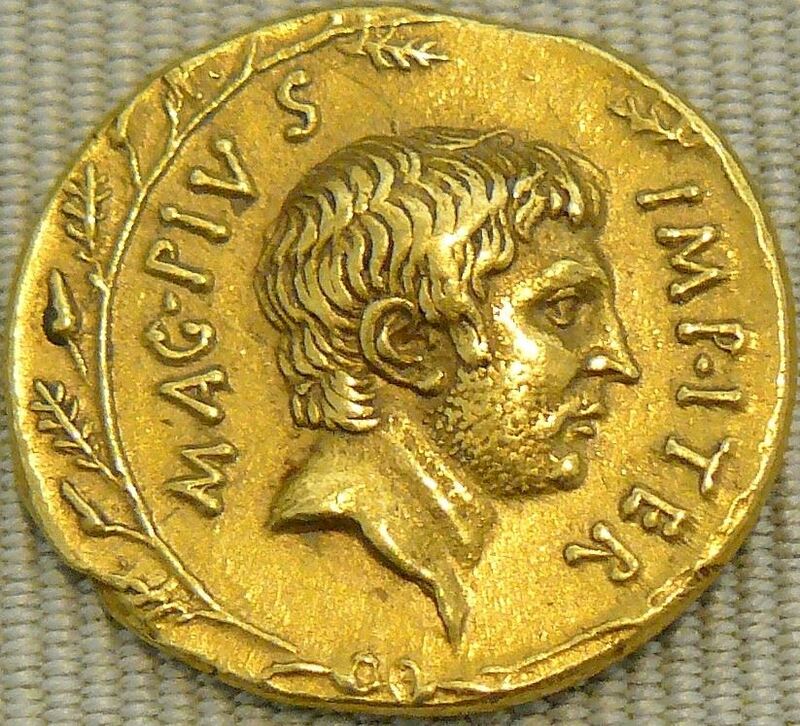 Sextus Pompeius Magnus Pius was a Roman general from the late Republic. He was the last focus of opposition to the Second Triumvirate. His father was Gnaeus Pompeius Magnus, and his brother was Gnaeus Pompeius Junior. After his father was killed in the Civil War against Julius Caesar, Sextus fled to Spain, where he continued the war against Caesar. After Caesars assassination in 44, he came to terms with Marcus Antonius and was given a naval command, but in August 43 he was outlawed. For the next several years he ravaged the coast of Italy with his fleet. He was defeated by Octavian’s friend Agrippa at Naulochus, and fled to Asia Minor but was captured and executed.